Fall is in the air. Football is on TV. To me, that means it's Pumpkin time! Yesterday, I bought my customary Yankee Pumpkin Cream Pie candle. 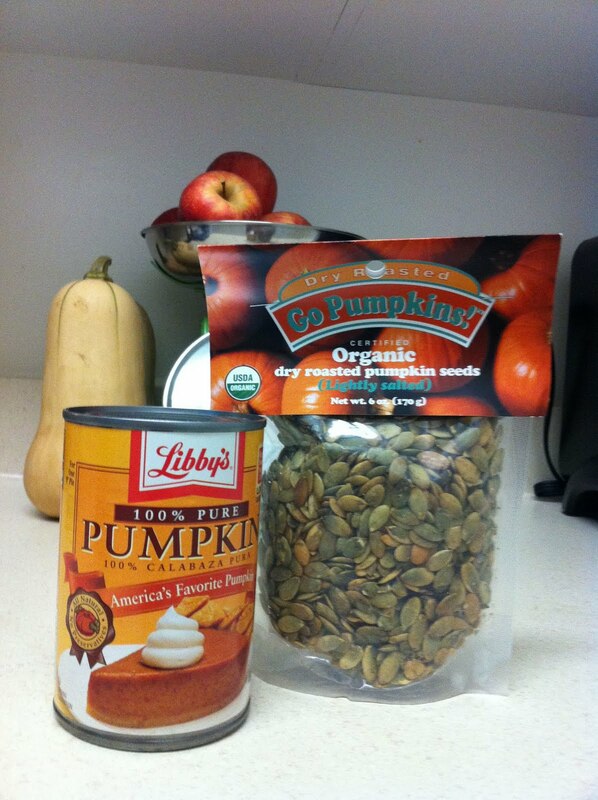 It always leads me down this road... to baking pumpkin things. This afternoon, I was going to go to the gym. 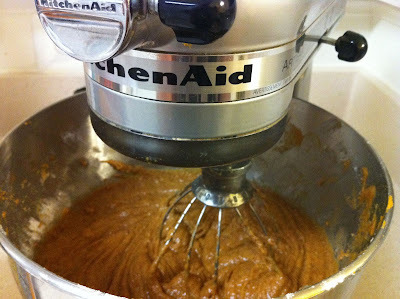 But, I ended up getting a massage from Michael, falling asleep in my blue chair, then waking up with the desire to bake. I blame the candle. This is why it pays to have a well-stocked pantry. 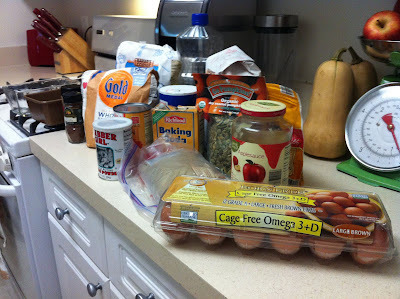 This is also a lesson in organizing said pantry. 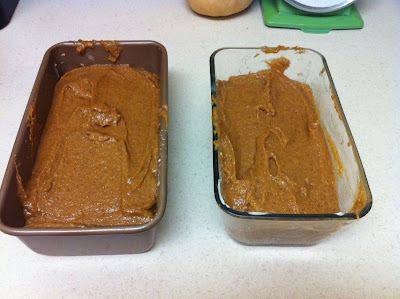 I found this recipe online for pumpkin bread that is modeled after the pumpkin bread at Starbucks. (Would you believe, I've never actually had the pumpkin bread at Starbucks?) I altered it just a teensy weensy little bit. You can make this with or without toppings. I chose to top it with pumpkin seeds, brown sugar and dried cranberries. Walnuts or pecans would also be good, and/or chocolate chips. You could even go a little out there and top it with apple slices. I bet that would be good! 1. Preheat your oven to 350 degrees. I'm pretty sure everything delicious starts at 350 degrees. 2. Butter and flour two loaf pans. 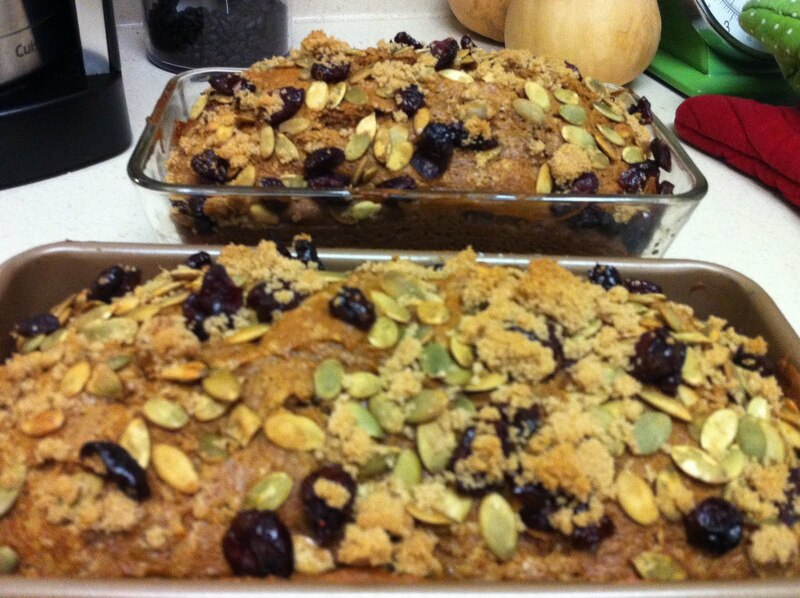 Yep, you get two loaves of pumpkiny goodness. What a blessing! 3. Beat sugar, brown sugar, oil and applesauce together. 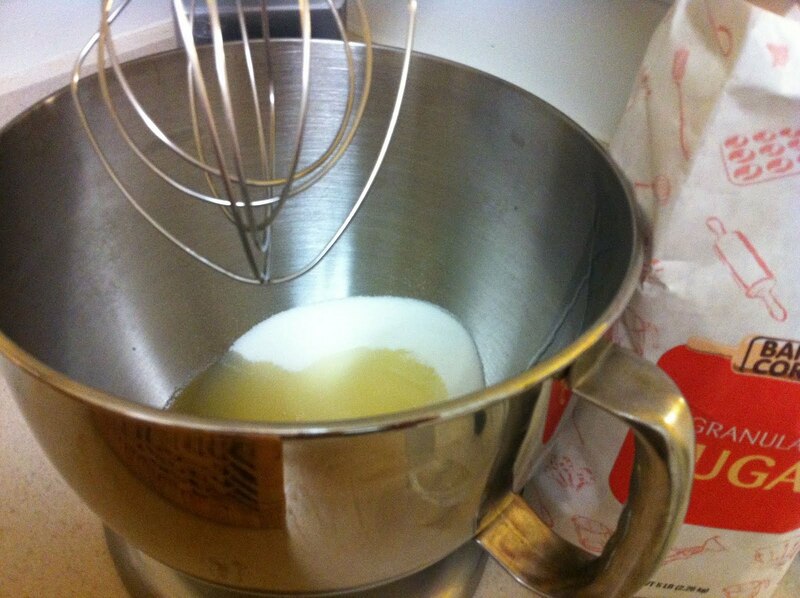 You don't have to use a stand mixer but if you have one, don't you want to use it as much as possible? I do. It's fun! 4. Mix in pumpkin and eggs. 5. 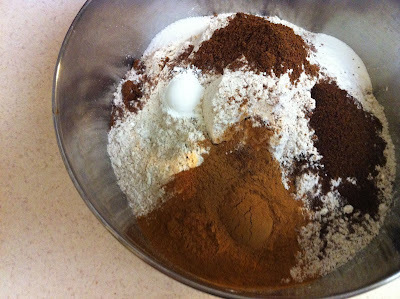 In a separate bowl, mix together the flour, whole wheat flour, cloves, cinnamon, nutmeg, baking soda, salt, and baking powder. I suggest doing this slowly, with a whisk, twisting. Mix it up real good. 6. Put half of the dry ingredient mixture in with the pumpkin mixture, and blend slowly. 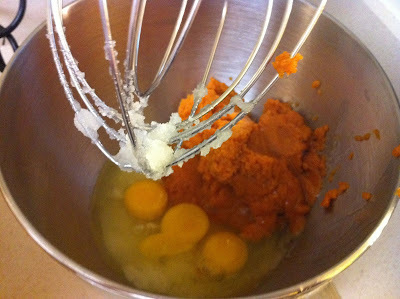 Then, add the rest, and blend it all together slowly. Don't overdo it, blend it just enough so that it's all together. 7. 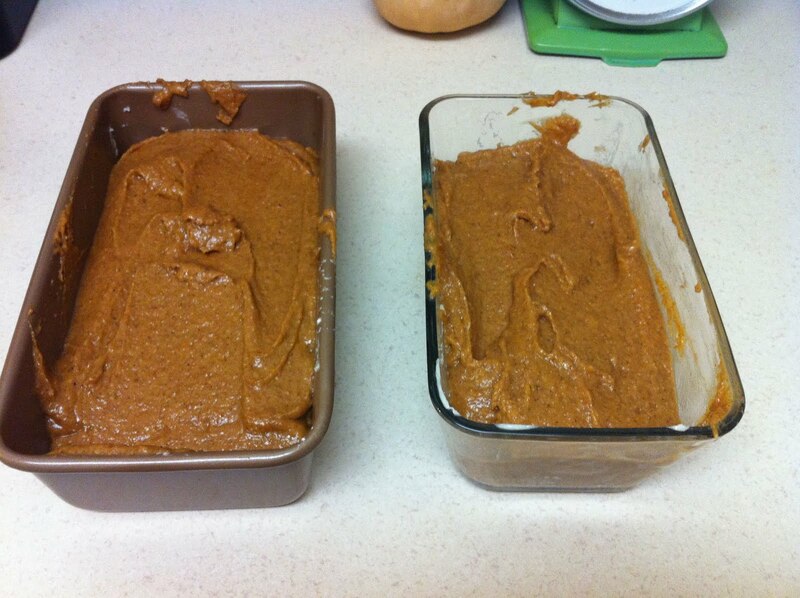 Pour the mixture evenly into your two loaf pans. If you want to be like me, spill 1/8 of it on your counter top. Clean it up with your fingers, then lick them. 8. Top your loaves, if you like. If you prefer to keep them naked, I promise not to judge. 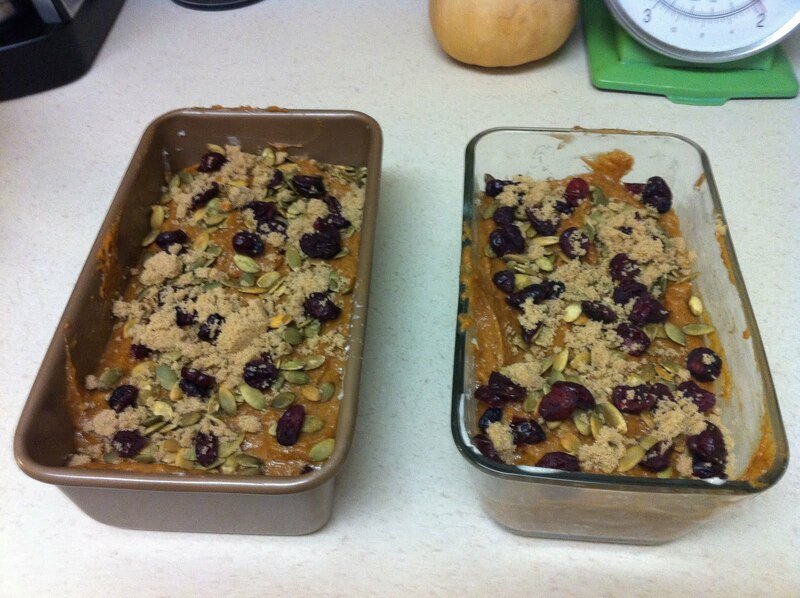 I topped these with pumpkin seeds, dried cranberries, and some brown sugar. I resisted the urge to drizzle them with butter. 9. Bake them at 350 degrees for about an hour. We ate ours warmed up with a little bit of butter. Y.U.M. You. Are. Killing. Me!!! 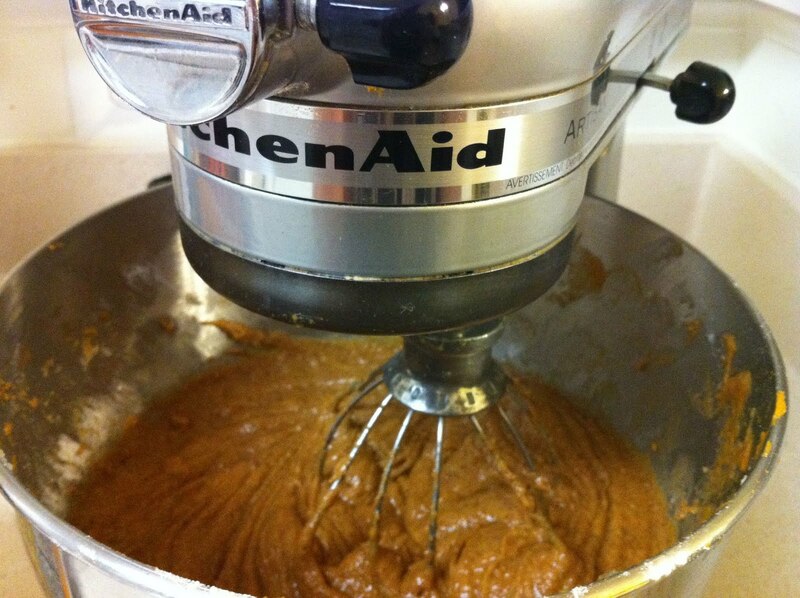 Want the candle, want the KitchenAid, want the pumpkin bread . . . and I want 'em NOW! Drooling on your blog here. that looks so good. makes me wanna RUN to Starbucks!